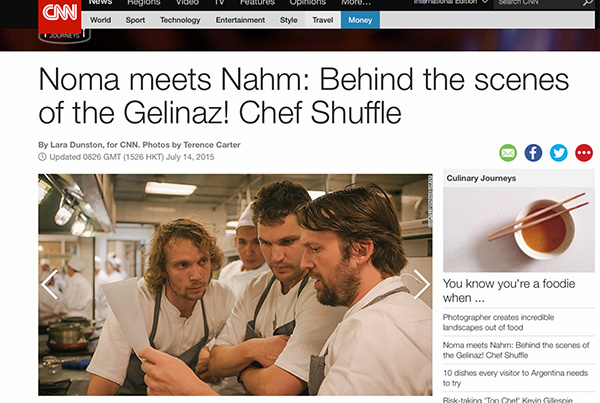 CNN Noma meets Nahm: Behind the scenes of the Gelinaz! Chef Shuffle. We were the only journalists in the world to get behind the scenes of the Gelinaz! Chef Shuffle where some of the top chefs in the world swap restaurants and cook in an unfamiliar kitchen half way round the world from their own. We had exclusive access to the Nahm restaurant kitchen in Bangkok for the entire event where chefs from Noma in Copenhagen performed their Nordic magic.